Common Ground Award - KE&G Construction, Inc. Since 2004, the Metropolitan Pima Alliance (MPA) has annually honored projects in our community that show exemplary collaboration with the Common Ground Awards. Through the many years, they have recognized Neighborhood Plans, Public Policy efforts, both public and private Infrastructure, Revitalization, and the construction of significant regional projects. Along the way, they have honored public/private partnerships, community events, nonprofit organizations, and economic development initiatives. Each year, as they evaluate the projects submitted, they are reminded of their mission statement: …to create a prosperous community by promoting collaborative real estate development policies, building partnerships and finding common ground. With each submission, their committee members look at the people, organizations and the various jurisdictions involved, and evaluate each project based upon the foundation of the organization: Collaboration. They review the process they used to find common ground, and in the end, they award those projects that have shown an exemplary level of partnership in achieving their desired end goals. This year is no different; after reviewing and evaluating over 30 submissions of projects, programs and policies that have overcome challenges to the benefit of the community, the Common Ground Awards Committee narrowed the finalists down to fifteen. 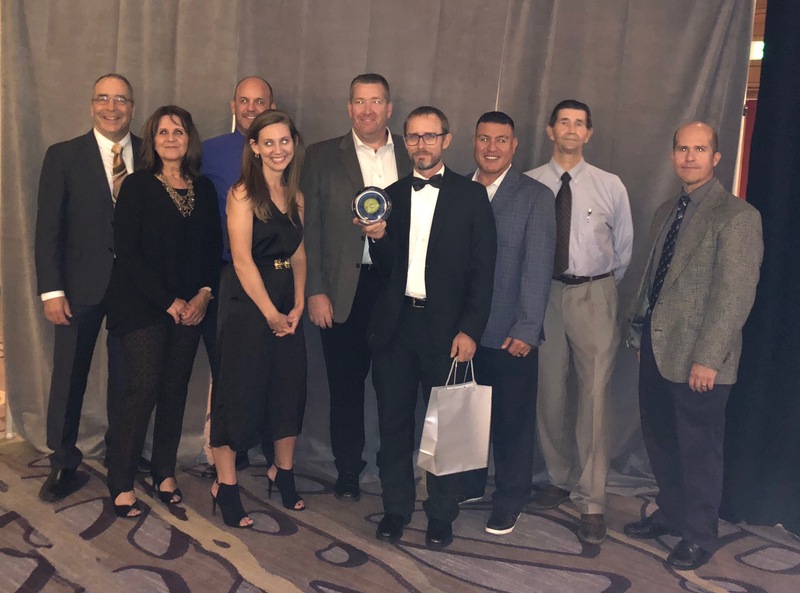 KE&G President Chris Albright and Communications Director Ramon Gaanderse attended the dinner along with the project team to accept the award for the Southeast Interceptor Project. Congrats to KE&G for another job well done!